I frequently get emails asking whether I think a certain treatment is supported by evidence or is quackery. I recently got one from an elderly man who was wondering whether he should take a friend’s advice to consult an Ayurvedic doctor. That was the first time I’d ever been asked about Ayurveda. I knew it wasn’t science-based, but I wanted to learn more, so I did a little investigating. What I found was pretty amusing. What is Ayurveda? Deepak Chopra explains that it was developed by the sages of India (ancient wisdom!) and that it is one of the world’s most sophisticated and powerful mind-body health systems. More than a mere system of treating illness, it is a science of life. Nothing has more power to heal than the mind. Freedom from illness depends upon expanding our own awareness. The body is naturally balanced through the process of meditation. There is a website that generates fictional Chopra quotes from random words. His actual words don’t make much more sense. Chopra says, “Making your doshas happy will make you happy.” Ayurveda is the original personalized medicine, with every health-related measure (diet, exercise, supplements, etc.) determined by the person’s individual constitutional type, one of the three doshas in the prakruti. In other words, medical treatment is individualized according to metaphysical fantasies rather than physiology. “Your prakruti is determined at the moment of conception and is the blueprint of all of the innate tendencies built into your mind-body system, including your physical and emotional characteristics.” There are three types of prakruti, the three doshas: vata, pitta, and kapha. Each dosha is governed by two of the five master elements. The ancient Indians thought there were five master elements (space, air, fire, water, and earth); the ancient Chinese counted five elements but not the same ones (metal, wood, water, fire, and earth); the ancient Greeks counted four elements (earth, water, air, fire). Then along came troublesome Mendeleev with his Periodic Table of the Elements. Modern science currently numbers the elements at 118. Who ya gonna believe? Each dosha is related to two elements and has its own qualities, physical characteristics, and emotional characteristics. For instance, vata is cold, light, dry, irregular, rough, moving, quick, and changeable. Its physical characteristics include dry skin and cold hands among many others. Its emotional characteristics include loving excitement, being quick to anger, etc. etc. There are detailed lists of specific foods that each dosha should eat and should avoid. This dosha stuff sounds pretty much like a horoscope and is just as reliable. How do you think the ancients could have figured all this out right down to the specific foods to avoid? How do you think the ancient astrologers figured out which personality traits were associated with each zodiac sign? How do you think they validated their findings? The answer is obvious: they just made it all up and made no effort to test their hypotheses. Weight: low, moderate, or heavy. My weight is low, but that choice also specifies “I may forget to eat or have a tendency to lose weight,” neither of which is true. Eyes: (1) My eyes are small and active, (2) I have a penetrating gaze, or (3) I have large pleasant eyes. This one really stumped me; I checked large pleasant eyes because they sounded the nicest. Joints: thin and prominent, loose and flexible, or large, well knit and padded. Beats me! I have no idea how you could tell. I took another online quiz that asked totally different questions. That one diagnosed me as a pitta-vata type. It recommended yogic breathing exercises; choosing foods that are sweet, sour, and salty; and taking various supplements that they sell, including Vata Digest tablets. Deepak Chopra tells us that Ayurvedic supplements “take the intelligence of the universe and match it with the intelligence of our own body.” I doubt that. Another quiz on another website asked totally different questions and said I was kapha/vata. The website sells a facial massage wand made of Kansa, a very pure form of bronze known as the healing metal. The video about the wand is very imaginative; it made me laugh. It reminded me of Perkins’ tractors. A fourth dosha quiz, also with different questions, said I was a vata body type. Among other things, it said I was clairvoyant (I don’t think so!). It said I should avoid cranberries, pears, persimmons, pomegranates, watermelon, and apples; any frozen, raw, or dried veggies; numerous grains and legumes, etc. Says who? Unless you can show me evidence, I’ll continue to eat the foods I like, thank you very much. That just about sums it up. Ayurveda is basically superstition mixed with a soupçon of practical health advice. And it can be dangerous. 64 percent of Ayurvedic remedies sold in India are contaminated with significant amounts of heavy metals like mercury, arsenic, and cadmium. And a recent study of users in the United States found elevated blood lead levels in 40 percent of those tested. 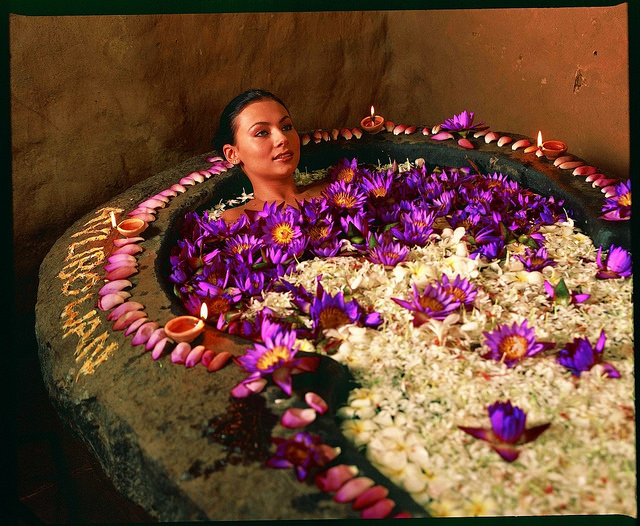 Ayurveda originated in India and is still widely used there. In a list of longevity by country, India ranked 125th. That suggests that the “science of life” hasn’t done a very good job of keeping people alive. But if the Indians see it differently and want to rely on “ancient wisdom” instead of on modern science-based medicine, it’s their funeral (sometimes literally!). Deepak Chopra is the most prominent proponent of Ayurveda in the United States. He was trained in India; in my opinion, America would have been better off if he had stayed there.